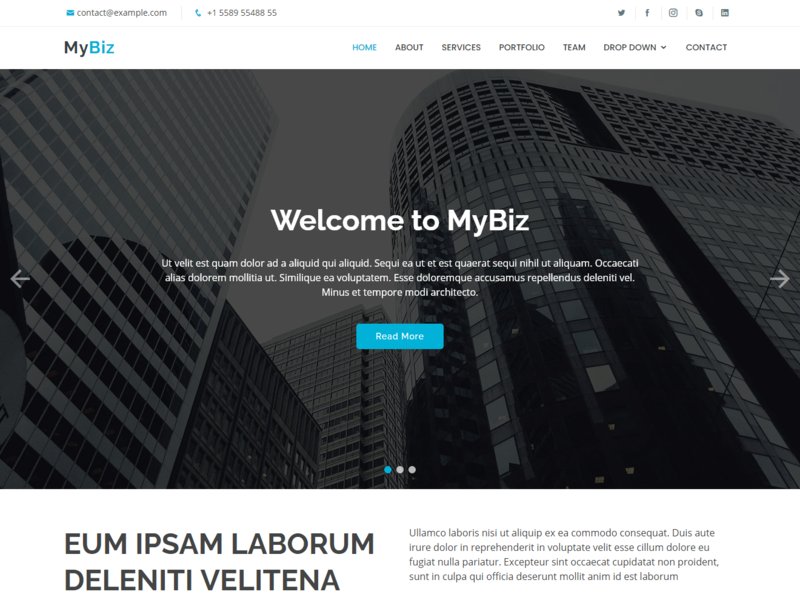 MyBiz is a clean and elegant free HTML5 bootstrap theme that is suitable for business websites. MyBiz will help you to make any website like corporate, financial, professional, agency or other business. The pro version of the theme comes with fully working Ajax/PHP contact form.